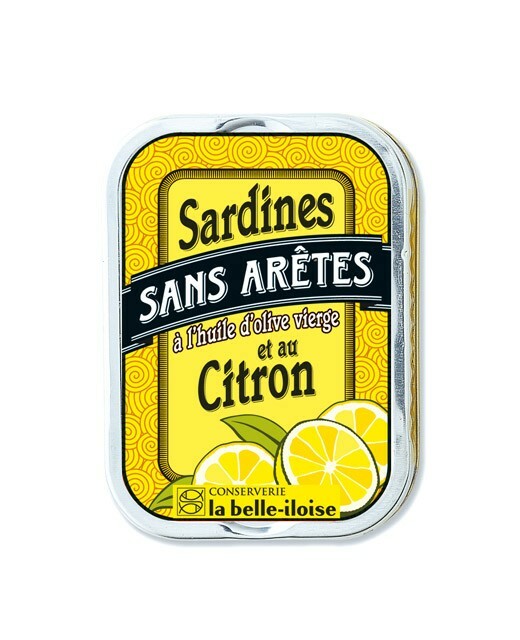 It is only after long experience that the best sardine acquire the know-how to take fishbone sardines without touching the flesh. Thus it avoids filleted, which dry up the flesh during cooking, which preserves the look but also all the qualities of sardines in olive oil and lemon but edges. 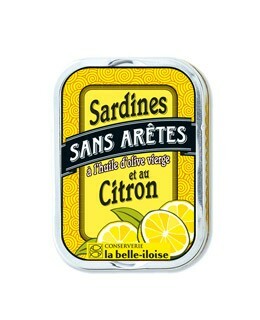 Sardines 73%, extra virgin olive oil 16%, lemon 10%, salt. 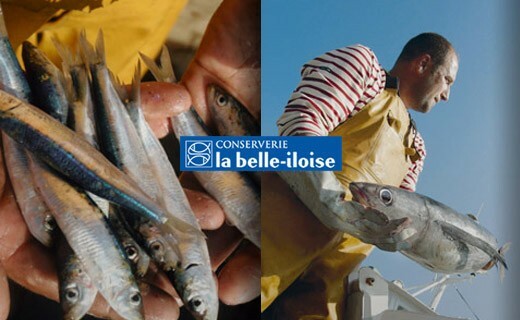 Located near the fishing port of Quiberon, once one of the biggest sardine ports in France, La Belle-Iloise House was founded in 1932 by Georges Hilliet. 80 years have passed and the founder's family continues to offer fans what is best in the field of canned fish. Therefore, the cannery uses only raw materials of first choice, hand prepared in accordance with the traditions to preserve the flavor of the fish.